Start with basic features and steps to learn how you can use TDSmaker for creating professional datasheets. We developed TDSmaker tool to speed up the generation of datasheets to give better online service for your customers. You’ll be amazed to see how simple to manage product sheets :-) So, let's start to learn something about this amazing tool. The first rule to make professional and well-looked datasheet is to design templates for product family. TDSmaker has easy-to-use design tool and you don't need to get any training to use it. If not bothered any of these you may choose ready templates from our template library. Thats all! Once template is ready, next step is much easier. Firstly, select the template you designed then fill in missing information and upload. So simple! You can share datasheets as PDF files wherever you have internet connection. 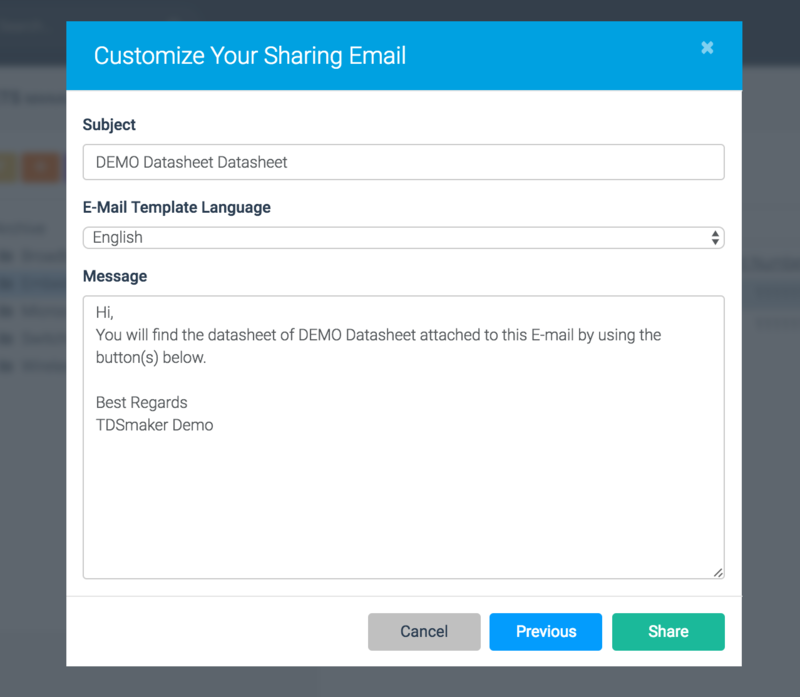 You just need a web tool or mobile device to share via E-mail or just publish to your website if you have integration TDSmaker with your website.